At Mairin, we value Professionalism, Reliability, Integrity, Dedication and Experience. This page is usually the most boring on a professional service company’s website. How many times do you want to read that a person has these qualifications, this amount of experience and has worked in these industries? We decided to do it differently. We still have the qualifications – B.Sc. 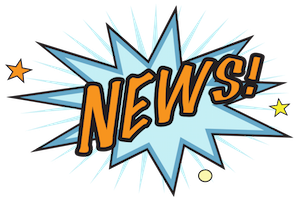 (Hons), B.App.Sci., B.Sc., Grad.Dip.Occ.Hyg.,Diploma in OH&S, Cert IV in OH&S, Diploma of Business, Diploma of HR Management, Cert IV Training and Assessment and Lead Auditor training. We have Construction Industry Induction cards, Rail Industry Worker cards, Maritime Security Identification cards and even Working With Children Check cards. Our company does work in power stations, mines, paper factories, on the railways, offshore on oil & gas rigs and a wide variety of heavy industry sites. We also work in schools, commercial offices and domestic premises. Our staff have memberships with the Safety Institute of Australia, Australian Institute of Occupational Hygienists and the American Conference of Governmental Industrial Hygienists. Instead of repeating these stale boring statements numerous times we thought it would be more interesting to see what our staff wrote about themselves or each other. 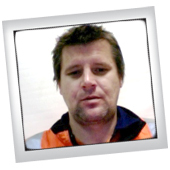 Commonly known as Grumpy, Paul is a keen fisherman who would like to go fishing more often but can’t get out of work. A father figure in the office, Paul acts as a mentor to all staff and one of the main conduits to clients. A keen supporter of the Essendon football club, Paul is also actively involved in the local RSL club. For optimal performance Darren needs a strong latte in the morning. He is a certified nerd and sci-fi nut from way before it became cool. On his iPod Darren has everything from Acapella to Zydeco but still goes back to Joy Division, New Order or anything Ska for a pick-me-up. A bit of an environmentalist, he spends his spare time doing nature study and photography. As a consultant, Darren gets satisfaction from helping workplaces become safer, and meeting people who start as clients but later become good friends. He is available by request at anytime except when South Sydney is playing. Carn the Rabbitohs!! Known as Miss Bossy, Sam gave herself the title General Manager because she’s the boss and don’t you forget it. 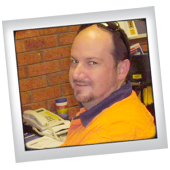 With a background in the WorkCover insurance industry, Sam is your first point of contact if you have any questions about your WorkCover and Return to Work requirements. Sam likes fishing and is better at it than everyone else. And she’s not ashamed to admit that she’s still a fan of New Kids on the Block and the Spice Girls. As the Operations Manager, Damian is responsible for co-ordinating the work of the Consultants. He also has an important role acting as a mentor for the ongoing development of staff. 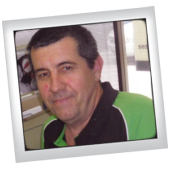 Being one of our older staff members Damian is often called upon for advice and assistance, which is a tribute to his years of experience as a support person in the OH&S industry. Damian is also responsible for most of the mayhem that happens in the office. He refuses to grow old gracefully, even though he has grandchildren. He has finally retired from basketball so not longer gets flattened on the court. If you need to find Damian in the office, just listen for his whistling. Not into fishing, Leesa likes unusual pets! She enjoys listening to music of most varieties (except what her husband listens to) while touring the countryside trying to find where her next project is. 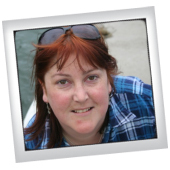 When not on some exotic Victorian work site, like a Power Station, Gas Plant or off-shore on the rigs, Leesa can be found chasing greyhounds for exercise, or relaxing reading a book in those odd moments of free time. Matt is a fan of the Bombers and doesn’t mind watching the Melbourne Storm thrash anyone they play. He has an interesting background, having spent 10 years serving our country in the army. Matt claims to be a great chef but tends to buy lunch each day. If you ask nicely he may cook you lunch. But be careful what you wish for. Paul (PJ) has been with the Mairin team for almost seven years, travelling to all corners of the state of Victoria undertaking various projects. He enjoys spending time with family and having a bit of a fish when time allows. Paul is looking forward to the mighty Melbourne Football Club enjoying some long overdue success and to hopefully see a premiership over the coming years. The rest of us reckon he is dreaming. Jenna is the proud mum of a little girl who tends to take up most of her spare time. Quite often this is based around driving as she is a member of the Mazda MX 5 Club. 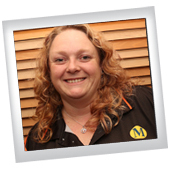 Jenna has spent the last 20 years predominantly working in the construction and mining industries in Victoria and SA. Much of this time has been spent cajoling workers into doing their jobs safely and according to the procedures. She tends to be easy to find in the office as she always talks in her loud ‘Mummy voice’. That’s the Mairin team so far. We’re ready and willing to help find solutions for your OH&S issues. Start by giving us a call on 03 5127 2311.